The last little bits of Easter ham turn into a perfect brunch combo of pancakes and croquettes for a nice way to use up some of the leftovers. Serve drizzled with Maple Mustard Sauce, honey mustard, or apple sauce. 1. Preheat the oven to 200°. Place a wire rack over a baking sheet in the oven. 2. In a large bowl, mix ham, mashed potatoes, green onions, egg, Dijon mustard, dill weed, salt, black pepper, and 1/3 cup panko bread crumbs together until thoroughly combined. If mixture is too moist to hold together, mix in additional panko crumbs. 3. Place remaining panko crumbs into a shallow bowl. 4. Scoop about 1/2 cup of the mixture and form into a ball, then slightly flatten into a patty. Press both sides of patty into the panko crumbs and tap off any loose crumbs. Repeat with remaining mixture to form 8 patties. 5. Heat vegetable oil in a skillet over medium heat until very hot. Pan-fry 2 or 3 patties at a time in the hot oil until golden brown on each side, 3 to 4 minutes per side. 6. Remove the patties to the oven to keep warm until all are cooked. 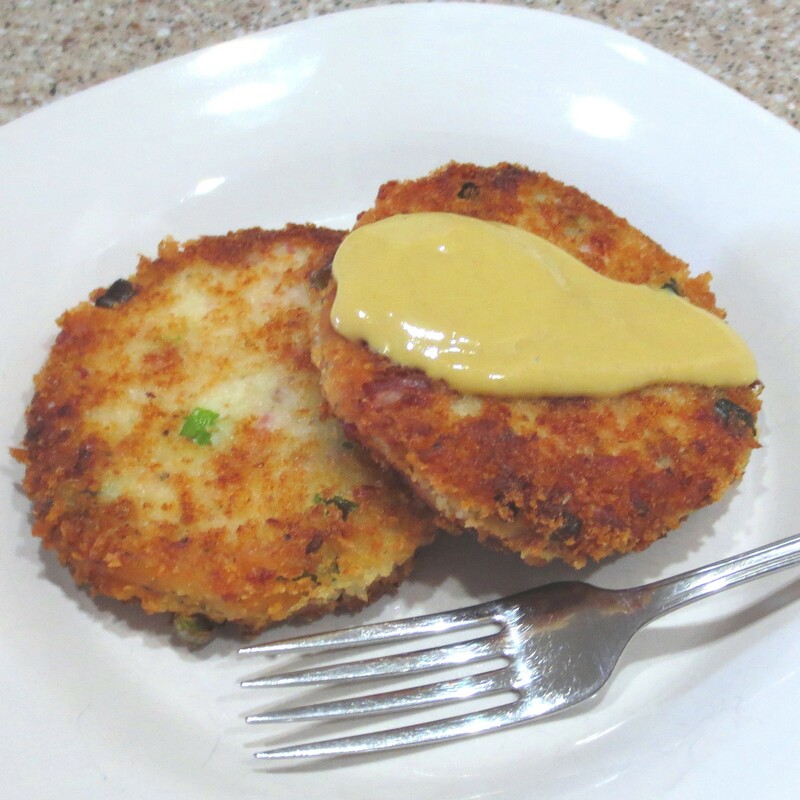 If desired, serve with Maple Mustard Sauce, honey mustard, or apple sauce.